Spielburg Valley was once a prosperous and peaceful place: forests were kept safe by the Baron's guards and merchants sold their wares in the thriving town. Only the vile Ogress, Baba Yaga, threw a dark shadow over the valley. When Baron Stefan von Spielburg ordered Baba Yaga to leave, she cursed the graveyard, such that the dead could not rest at night. When the Baron then sent the guards after her, she cursed him: 'Upon Von Spielburg and all his clan, this Curse I now demand: What I will shall come full measure, so shall ye lose all that ye treasure'! In the following years, the baron's young daughter Elsa was kidnapped from the castle by large winged creature and his son Barnard never returned from a hunt in the forest. As the Baron continued to send his guards out to defeat the ogress, his army grew smaller and smaller with their skulls decorating the spiked fence around Baba Yaga's house. With the Baron's inability to continue protecting the valley, the Brigands saw an opportunity and, with their new leader, started terrorizing all people who would attempt traveling to the town. All kinds of Monsters also returned in large numbers to the valley. The Baron's only hope now is the prophecy: 'Come a hero from the East, Free the man from in the beast, Bring the child from out the band, Drive the Curser from the land.'. You are that Hero. 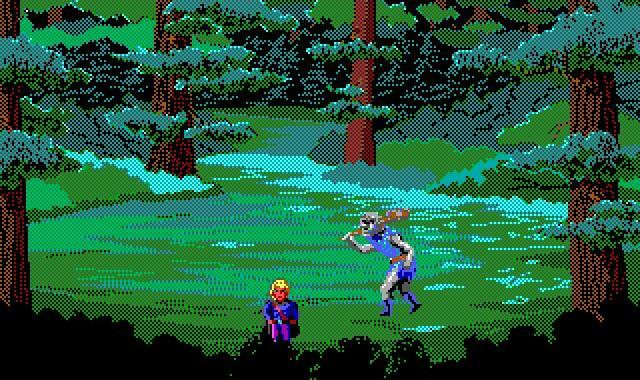 Chose to become a Fighter, Magic User or Thief and build your skills to defeat the Monsters and Brigands in the forest, find the Baron's long lost children and ultimately defeat Baba Yaga herself to claim the title of Hero of the Realm of Spielburg. On your adventure you will encounter other interesting characters, such as the reclusive Henry the Hermit, Erasmus the Wizard, the Dryad, and the strange creatures known as Meeps, as well as hostile creatures, such as a Kobold, ghosts, ogres and a minotaur. There are several paths to victory, depending on which character you select, on how you develop his skills. There are however many more paths to death... Chose wisely, the destiny of Spielburg is in your hands. 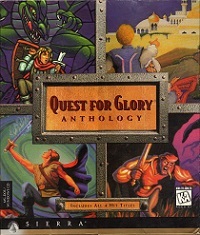 Quest for Glory 1, designed by Lori Cole, was the first role-playing game since Sierra's publication of the Ultima titles in the early to mid eighties. 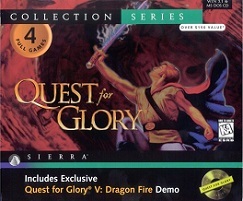 The multiple character types and broad character development, combined with adventure, realistic and diverse game play and Sierra's new SCI engine, turned it into an instant success formula and the birth of one of Sierra's most celebrated series. 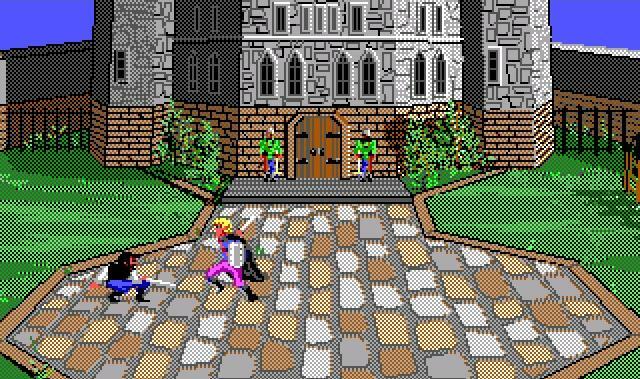 In 1990 Computer Gaming World named it as Adventure Game of the Year. 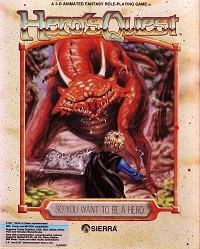 Originally titled 'Hero's Quest: So You Want to Be a Hero', the game was re-released as Quest for Glory 1, because of trademark issues involving the HeroQuest board game. 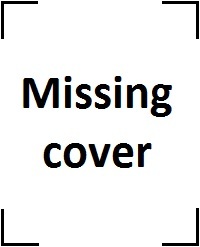 The text parser game was also re-released with VGA graphics and a point-and-click interface in 1992.